In this interview, conducted in December 2017 by Helen Potter, Moana Jackson discusses the constitutional transformation of Aotearoa New Zealand. Download this piece as a PDF . Helen Potter: What led to Matike Mai, how did it go from an idea to an actual project? 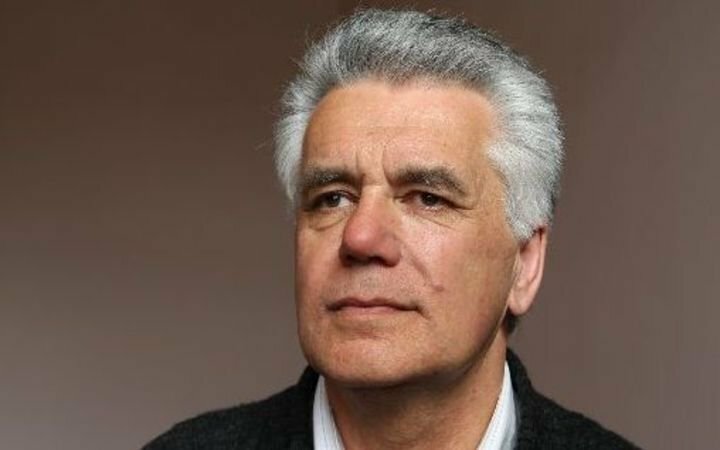 Moana Jackson: Like everything else Matike Mai has a whakapapa. The immediate catalyst came from a number of discussions at the Iwi Chairs Forum, at a national hui on Māori development, and various other workshops around the country. A common focus of these hui was the frustration with what are called Māori perspectives or interests so often being ignored by the Crown and the difficulty in getting any real expression of rangatiratanga recognised. That was not a new frustration of course because it has been there ever since the Treaty was signed. In the mid-1990s, Sir Hepi Te Heu Heu called a national hui at Hirangi to discuss the introduction of the Fiscal Envelope. As a result of that hui, two more national hui were held where the discussion moved from the policy of the Fiscal Envelope to what was then called constitutional change. A lot of work was done but was then overtaken by other events. So at a national hui in 2010, it was suggested that the constitutional conversation needed to be restarted. A few people, such as Judge Caren Fox were asked to give background information on the sorts of discussions that our people had had, and a resolution was passed to set up a working group on constitutional transformation. Margaret Mutu was asked to be the convenor of that working group and I was asked to be the chair. The brief given to the Working Group was very specific: that we would discuss, initially with Māori people, how to develop a constitution based on He Whakaputanga (the 1835 Declaration of Independence), Te Tiriti o Waitangi, tikanga, and the United Nations Declaration on the Rights of Indigenous Peoples. HP: How was the project organised? MJ: To begin with, Margaret and I called together a range of people including Ani Mikaere, Veronica Tawhai, Atareta Poananga, Joe Te Rito, and Malcolm Mulholland to discuss how we could best do the mahi. We decided we would ask iwi and other Māori organisations to give us names for the working group, and that we would also co-opt people as needed. As a result we ended up with quite a big working group which was always available for advice or to help us organise hui in their rohe. The first hui was held at home in Ngāti Kahungunu, partly because it was there at Waipatu marae that the first Māori Parliament met in 1892 and I thought that was a good place to start. We also went there because we wanted to trial how we might structure the hui kōrero and I felt more comfortable doing that at home. We were initially concerned that if we said to our people, come to a hui on constitutional transformation – no one would come, because it was our sense that that issue would not rank on the top 10 priorities of our people. The other concern we had was that even if people did come, they would say ‘this is unrealistic’ because all our people know is the Westminster system imposed since 1840. However, those two concerns were misplaced because while our people might not use the word ‘constitution’ every day, they have a really clear sense of powerlessness. They know that if one of the top priorities in their life is putting food on the table for their kids, they know the reason they can’t do that is because they are powerless. They know they do not have the power to make the decisions about those things. And the second concern was merely a misapprehension because no one in the 252 hui we held, said that a kōrero about constitutionalism was unrealistic. I think one of the reasons that happened was because when we got iwi or other rōpū to organise hui, we put the hypothetical question that ‘if you could change the way the country is governed tomorrow, what would it look like?’ and we found that our people responded to that really well. What became clear really early on in the hui, was that although our people didn’t talk constitutionalism, there is actually a great deal of knowledge and history that our people knew about our own systems of government, about mana motuhake, and so on. It varied from place to place of course depending on the history of each rohe and their experiences, whether it was through the Kotahitanga, or the Kingitanga, or He Whakaputanga. That knowledge was widespread and it was knowledge that a lot of our people kept turning back to in the kōrero. It all took a while to organise everything and while iwi contributed to the costs of organising hui in their own rohe we wanted and had to seek independent funding. Just as one doesn’t like being beholden to the Crown for funding, we didn’t want to be beholden to an iwi – and we needed to be seen to be independent. We therefore set up a finance committee, chaired by Bill Hamilton, and they eventually got funding from the JR McKenzie Trust which enabled us to do the four years of hui and rangatahi wānanga. Margaret got some funding through the University of Auckland for Kingi Snelgar to do a literature review of early discussions of constitutionalism by Māori. Veronica and the rangatahi group also applied for and received funding from the United Nation’s social development fund. So we became self-sufficient which was really important. It wasn’t extravagant funding so we had to be careful but certainly we couldn’t have done it without the JR McKenzie Trust. Something else that was really important in organising terms was that we managed to take on Kayleen Neho as a kind of Project Manager. She was crucial to the whole process if only because among other things she managed to keep me organised through attendance at all of the 252 hui. I think one of the most important kaupapa decisions we made in the organising stage was to hear what rangatahi had to say and to ensure that the process of hearing their voice was led by rangatahi. We approached Veronica Tawhai and she agreed to organise what became an exciting part of the whole project. I went to the first planning hui that the rangatahi group had, there were only about 12 people, but they were just stunning. I didn’t go to any more for that reason and, we just left them to it! Veronica began by pulling in people she knew, and Margaret and I rang different iwi and various rōpū to see if they could select a rangatahi representative as well. Eventually different groups of rangatahi had training sessions and then ran the hui in their rohe. They ended up holding 70 wānanga which were amazing. The other important decision we made I think was to go wider than iwi. We knew that a lot of our people don’t go to iwi hui so we basically decided we would go wherever we were asked to go. That’s why we ended up having hui with groups such as organisations for Māori people with disabilities, Māori LGBT rōpū, gangs, churches and so forth. At the end of the project, when we finally decided that 252 hui was enough, over 10,000 people had come to the hui. We also received 843 written submissions. The fact that so many people came was important, not just for the validity of the report but because it showed that, in spite of what a lot of people say, our people aren’t content with the current constitutional system. After the hui were over we were faced with transcribing everything but thankfully my mokopuna Tira who was part of the rangatahi group undertook that task along with Kayleen. While that was being done we had a number of smaller discussion groups – mainly to have further kōrero on things which had come up during the hui. For example, one of those smaller discussion groups was at Te Wānanga o Raukawa because the Anglican Church three-houses constitutional model, developed by Whatarangi Winiata, was often mentioned in the kōrero so we wanted to have a specific discussion about that. We also had a smaller group hui back home about the Māori Parliament. Those smaller group discussions happened quite often and I like to think that the overall process was really good. If there is a whakapapa to all of that, it is the history since 1840 where there has always been a constitutional discussion among our people as well as various attempts such as the Kingitanga to institutionalise some sort of constitutional framework that is different to and not under the Crown. We realised we were, if you like, walking in the footsteps of what our tūpuna had done. For me personally, it was one of the most rewarding bits of mahi I’ve ever had the privilege of doing because our people were just amazing. At one of the early hui we had in Wairoa, just a small hui of 20 or so people at the Tai Whenua Office, one of the kui came up to me afterwards and slipped her arm through mine and said, ‘I’ve been waiting for this kōrero all my life’. That was a really special moment. The work of hui and kōrero took four years. In the original application for funding to the JR McKenzie Trust, we suggested 30 hui, but by the time we got the funding we’d already had 87 requests for hui – and so we knew that 30 hui wasn’t going to work. We could probably have wrapped it up in a year, but both Margaret and I thought that ‘have kete, will travel’; that if our people ask us to go, then we should go and that’s what we tried to do. In some ways we learned that the way we were doing things was tika because we discovered that when our tūpuna were planning the Māori Parliament of 1892 they also travelled, holding hui in Kahungunu from Wairoa down to the Wairarapa and then other rohe asking questions like ‘do you think this is a good idea?’, ‘should we try this?’ One of the fascinating debates was, if we have a Māori Parliament, should we vote? Should we have votes? No, we can’t have votes because votes aren’t Māori, but if it’s a Parliament we should vote – so there was this neat debate. Because of the times, in the early 1890s, women couldn’t vote in the Pākehā Parliament and so it was also asked if women could vote in this Māori Parliament. So there was this lovely discussion, they went out and talked with our people. Almost every time we went to a hui I’d tell that story – that what we’re doing isn’t new; this is what our people did a hundred or more years ago. When the question occasionally came up about what a new constitutional model might look like – and our people didn’t talk very much about models and instead talked more about the tikanga and values that would underpin a Treaty-based constitution – but when they did talk about a model, the same debate came up about voting; should we vote? If we don’t vote, what should we do? So those debates were interesting and really neat. The conclusion our people reached in the hui we had was different to that of the tūpuna though. The hui leading to the establishment of the Māori Parliament decided that they would have voting and that women wouldn’t vote because women didn’t vote in the Pākehā Parliament. That didn’t last very long because our women basically said, get a life! But that was a decision they came to which I thought was really interesting and showed how pervasive the Pākehā influence had become by the early 1890s. In terms of the hui themselves, they were interesting too because most of the hui organised by iwi ran alongside hui organised by others within that rohe. The iwi would organise hui, sometimes at their iwi offices, and then people out in the community would say for us to come and meet with them as well – so that was interesting. The meetings with all the different sorts of Māori groups was fascinating and in some ways sad. When we had the big hui with Te Rōpū Waiora, which is the national body for Māori with disabilities, a couple of the speakers broke down and cried because ‘no one ever comes to talk to us about these things – they only come to talk to us about disability issues’. And when we had the hui with the Māori LGBT community in Auckland, a couple of the old people cried there too because they often felt excluded by marae and so on – and certainly the Crown never asks for their views, unless they want to talk about AIDS or something. I’m so glad we made that decision to go and talk to our people, whoever and wherever they were. I remember going back to the LGBT group in Auckland with the draft of the report and talking it through with them and they were just really pleased that we had taken the time. With the time and the resources we had, I do think that we reached a cross section of Māori people. HP: How did people get to know about the project? MJ: When we had the first meeting of the working group at Waipapa Marae at Auckland University, Māori media came. And then Margaret was interviewed for a Pākehā current affairs programme, and I did another – so we did two or three early interviews and then the kumara vine took over really. Kayleen would get requests for hui from all over the place which reminded me how effective the kumara vine is. However, that wouldn’t have worked if our people weren’t interested. They wanted to know what it was about and how they could contribute and so on. When it became obvious that we weren’t going to have just 30 hui, and we’d made the decision ‘have kete, will travel’ it then often became a matter of just juggling how we did it in a practical sense. So when we had hui in Ngāti Porou, for example, we had one hui organised by the rūnanga and we had others organised on different marae – and so practically it just made sense to do all those in one hit and so on. And, over time, we got better at the organisational side of things. HP: So clearly Māori were eager to participate and contribute and felt it was a continuation of mahi that our people had been doing since at least as far back as 1835? MJ: Yes, I think it’s fair to say that. Obviously some people had more knowledge of that history than others, and the emphasis was different in different rohe too. When we were in the North, in Tai Tokerau, they talked all the time about He Whakaputanga. When we were in Tainui, they talked about the Kingitanga. When we were in Ngai Tahu, they didn’t talk about either of those things. The kōrero reflected the iwi histories so that was interesting. If you could crystallise what the hui said, there were six general principles. One was the absolute, unwavering view that the current constitutional system is not just contrary to the Treaty but it’s also a denial of tino rangatiratanga. The view of some, that you can exercise rangatiratanga in Parliament for example, was not even contemplated really. The second was a really clear analysis of the Treaty; that Māori did not cede sovereignty and therefore a constitutional system had to be based on that fact. It also had to recognise the grant of kawanatanga, so there was a place for kawanatanga, a place for everyone who has come here since 1840. If there was going to be a Treaty-based constitution then that’s how it would have to operate. It could only be legitimate if it accepted that iwi and hapū retained mana as a full expression of political and constitutional independence. It was really fortuitous that when we were writing the report the Waitangi Tribunal released its decision in the Paparahi o te Raki claim where they said that iwi did not cede sovereignty. In that decision they said that the Treaty instead established different ‘spheres of influence’ – a kawanatanga sphere of influence and a rangatiratanga sphere of influence. And we thought that phraseology was really helpful so we used that in the report. What we suggested though, was that you can have those spheres of influence, but the Treaty in the end is about a relationship and so we talked about a third sphere, which we called the relational sphere. The kawanatanga sphere is where the kawanatanga does kawanatanga things; the rangatiratanga sphere is where rangatiratanga things are done; and the relational sphere is where they have to come together to work through matters of common interest in the context of a Treaty relationship. The third principle that was important throughout the hui was the importance of the values that would underpin any new constitution. One key value was that a constitutional framework had to be built on the well-being of Papatūānuku. There was a precedent for that kōrero in other places like Bolivia where the constitution talks about the prime law of Pachamama or the Earth Mother. It was clear to our people that once you’d established the Treaty base, then the constitution had to flow from Papatūānuku. The fourth one was that if you’re going to have a Treaty-based constitution, how then does that acknowledge kawanatanga? How does kawanatanga sit alongside rangatiratanga? There were some really interesting discussions on this and our people were really generous actually. I was often reminded of something that Ranginui Walker once said, that one of the great fears of Pākehā is that our people would do to them what they have done to us – but our people never talked like that. There was anger about what had happened when we got into the history, but there was always an acceptance that the Treaty gave kawanatanga a place and that a constitution had to acknowledge that while being clear that the base of the relationship between kawanatanga and rangatiratanga was the kawa or tikanga of this land. The fifth principle therefore was that a new constitution needed to flow not just from the Treaty but it had to be based on tikanga. So if there was a conflict between the two, say, then the guide to the resolution of that conflict would be tikanga. That was as important a starting point as the emphasis on broader values; that you can’t have a Treaty-based constitution if it’s based on Pākehā law – it has to be based on tikanga. The sixth principle was the need to find space for kaumātua and kuia and rangatahi; that a constitution based on tikanga has to acknowledge those spaces. Those principles were really important but the hardest part of the project was that we had been asked to come up with a possible constitutional model. We found that really hard to do and instead came up with six ‘indicative’ models. These are some ways in which the values and the tikanga that our people talked about might be expressed in structural terms. 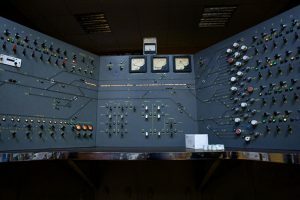 But for us, that was always less important than the values that would underpin the eventual model. HP: Do you think the project helped build or rebuild a movement for constitutional transformation? MJ: Yes. At the hui I often talked about the kōrero that preceded the establishment of the Māori Parliament in 1892, and I often also talked about the Constitution of the United States. While it’s a flawed, racist constitution – it dismisses Native Americans and classifies Black People as only three-fifths human – part of the process that led to the constitutional conventions was that people travelled around and held what were called ‘town hall’ meetings, which they still have in the United States where Members of Congress have to front up. It seemed to me that those two quite different processes were essential if you’re going to talk about a constitution for the people. And that’s what we tried to do as well. When the report came out, I’d like to think it was a reflection of what our people said. At the end of the report it says, ‘that the desire for constitutional transformation is not a pious hope but a reasonable Treaty expectation’. And that’s what I thought our people were saying. When all that was done and the report was released on Waitangi Day in 2016, the response from the Crown was predictable. They said ‘it doesn’t matter because we’re in charge’. Six months earlier they had rejected the Tribunal’s Paparahi o te Raki claim report using the same language – ‘it doesn’t matter because we’re in charge’. For me that’s like saying, that’s not realistic. It wasn’t an argument, it wasn’t an engagement, it was just ‘get stuffed’; a rather forlorn hope that it will just go away. The next step after the report was released, was that we decided as a working group that if other people wanted to talk with us, or more Māori people wanted to talk with us, then we would go and talk. That’s been an interesting experience because we’ve been asked to talk with all sorts of interesting groups. Sometimes we’ve spoken at conferences where it is perhaps not surprisingly a topic of conversation, such as law conferences or social activist hui. At other times the invitations have been to different migrant community group or Rotary Club meetings which has been kind of surprising. I never thought I’d ever get asked to a Rotary Club but the kōrero there have actually been really interesting. They’re mainly Pākehā men and my sense is that they come at the issue not necessarily understanding the Treaty base, but from a disenchantment with the way Parliament operates. They might be staunch Westminster-system-is-the-best-system people or National Party people, but they seem to have a very real dissatisfaction with the name-calling, the petty point-scoring and so on of Parliament. After the first meeting with a Rotary Club, I remember talking with Margaret and our view was, well it doesn’t matter where they’re coming from. If they want to start talking about it, then that’s a beginning. I would imagine that 20 years ago, even 10 years ago, that wouldn’t have even been a topic of conversation. It’s a kōrero that will get bigger and over time more publicly-accepted. It will take time, but the fact that we get these calls from Rotary Clubs or the Sri Lankan Association to go and talk is really positive. And often I’ll go and talk at other hui where there are Māori and Pākehā people there and the constitutional thing always comes up, and while it’s mostly asked about by our people, it’s often asked by Pākehā people as well. And it’s from those little steps that the conversation begins. It’s not a conversation which is closed off. Not long after our working group was established, the National government, as part of its confidence and supply agreement with the Māori Party, set up a constitutional review panel in 2011 – which had some really good Māori people on it like Ranginui Walker, Linda Smith, Leonie Pihama, and Hinurewa Poutu, plus some really interesting Pākehā people as well. At public hui they encountered some really violent, racist opposition from Pākehā, rather like that of Hobson’s Pledge. I went to a Hobson’s Pledge meeting once just to hear what they had to say and my brother and I were the only brown people there. The audience was nearly all white men most of whom were older than me. There were no young people. So the conversation will outlive them. It doesn’t mean it’s going to be easy. I’m never naïve about the reality of colonising power, and its intransigence, but the fact that you’re getting more and more young people, even being prepared to contemplate these issues is really heartening. That’s what I’ve been taking from these other hui that we’re having. With the hui we had with the Sri Lankan Association I was interested why they’d asked us to come and one of their koroua smiled and said, well we were colonised by the British too. So they come at it from that history. I guess if I have a hope from all of the constitutional hui, and it is a hope that Margaret has as well, it is that in the future when our people and Pākehā people want to talk about how this country can do better in constitutional terms, then maybe our report will be something our people can refer to. In the end that may be its greatest value. When the constitutional transformation happens, it might be quite unlike anything like what we imagined in our six indicative models. But there’s now something, a reference point if you like, that our people might look to that wasn’t there before. HP: How has the presence of Māori parties and more Māori MPs in Parliament contributed to or limited conversations around constitutional transformation? MJ: I’ve often said, ever since our first tūpuna went into that place over 100 years ago, some really good people have gone into Parliament. But in the end what they’re able to do is limited by the fact that it is a Westminster system; it’s not a Māori system, it’s not a Treaty system. Often what those good people do is merely minimise the harm that that system might do to our people. I don’t think that should be underestimated or disrespected, but in the end, it is not structured either in terms of the Treaty or in terms of promoting Māori interests. If we are to be honest, in Treaty terms, about where the country goes then we have to look beyond that system and hope that the Māori MPs in the meantime can make some incremental changes. I think that the fact there are more Māori MPs, certainly now in the government, is a good thing – within that system. If they sometimes mistakenly think that’s an expression of rangatiratanga they are people who I think will be less likely to fall under the party leviathan if a Māori issue comes up. For example, when the foreshore and seabed issue arose under Labour, only Tariana moved. All the others, good people, stuck to the party. I think with the range of people we have there now, particularly some of the younger ones, that might be less likely to happen. There may be a certain strength in numbers that will do two things. I think that a government with that bloc of Māori are less likely to do a foreshore and seabed and if they did behave in a similar way on some issue, then I think this group of Māori MPs would react differently. But that doesn’t, in the end, negate the fact that that system is not what the Treaty envisaged. The treaty allowed for two spheres of influence and we still have just that one sphere. The Crown still assumes it should be the only sphere and that while Māori might participate in it, we can’t have anything different – but in the end that is an unsustainable assumption. I always believe that until a country acknowledges where it’s come from or what it has established to preserve colonising power, then it can’t be a just country. He also says: ‘Nations and peoples are largely the lies they feed themselves. If they keep telling themselves lies they will suffer the future consequences of those lies. If they tell themselves stories that face their own truths, their own origins, then they free their histories for future flowerings’. Until we get brave enough to acknowledge what the Treaty says in constitutional terms, then in this country we’re living a lie. I’m also mindful of my hero Frederick Douglass’ comment that ‘Power concedes nothing without a demand. It never has and it never will’.4 It’s not easily achieved but the Treaty, I think, gives us the chance to achieve that. And in some small way I hope this constitutional mahi will help in that. 2 Ben Okri, ‘The Joys of Story Telling III’. In A Way of Being Free, London: Head of Zeus, 2014, (§15). 3 Ben Okri, ‘The Human Race is Not Yet Free’. In A Way of Being Free, London: Head of Zeus, 2014, (§30). 4 Frederick Douglass, Two Speeches by Frederick Douglass, Rochester, NY: Dewey, 1857, p. 22. Moana Jackson (Ngāti Kahungunu, Ngāti Porou) has worked with an extensive number of whānau, hapū, iwi, and Māori organisations and collectives over the past four decades to assist them with a vast range of kaupapa, and has led a number of high profile research projects, including his seminal research on Māori and the criminal justice system and more latterly on constitutional transformation. He has also worked extensively on international Indigenous issues over this time and is regarded as an expert on Indigenous constitutionalism. Formerly a secondary school teacher of te reo Māori, Moana is a lawyer and a guest lecturer in the Ahunga Tikanga (Māori Laws and Philosophy) programme at Te Wānanga o Raukawa. 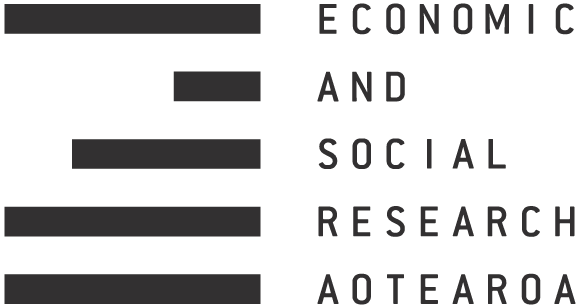 Helen Potter (Ngāti Maniapoto, Ngāpuhi) has been involved in kaupapa Māori research for nearly 20 years – predominantly in the fields of Māori education, adult learning, health, housing, and whānau and environmental wellbeing. Following completion of her PhD in 2003, Helen worked as a senior researcher and advisor for first the Māori Party and then the Mana Party in Parliament, and as a senior researcher in Te Wāhanga, the kaupapa Māori research unit at the New Zealand Council for Educational Research. Helen is a co-director of Tīaho Ltd, a kaupapa Māori research, evaluation, and policy development company.